Tapeotronic is a mellotron tape keyboard emulation. There’s 16 patches of flute, string and choirs sounds and MIDI learn / automation. Back a few years ago I made an album called Manasota under my pseudonym Justin Robert. For much of that album I used a Mellotron VST plugin. I’ve always loved the sound of these. The one that I used is no longer available, but I found this one that seems just as good! 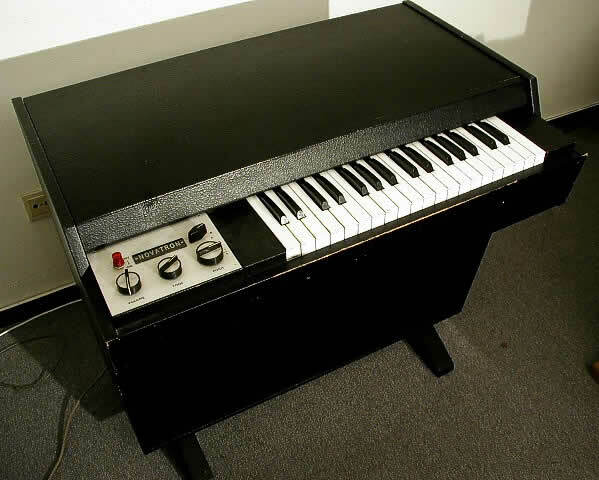 “The Mellotron is an electro-mechanical, polyphonic tape replay keyboard originally developed and built in Birmingham, England, in 1963. It evolved from a similar instrument, the Chamberlin, but could be mass-produced more effectively. The instrument works by pulling a section of magnetic tape across a head. Different portions of the tape can be played to access different sounds. The original models were designed to be used in the home, and contained a variety of sounds, including automatic accompaniments. The bandleader Eric Robinson and television personality David Nixon were heavily involved in the instrument’s original publicity. A number of other celebrities such as Princess Margaret were early adopters. Get it from the developer’s site! This entry was posted in Bedroom Producer, Electronic Music, MIDI, Music Production, Plugins and tagged best free mellotron vst, free mellotron plug in for logic pro x, free mellotron plugin, free mellotron plugin logic, free mellotron vst, free mellotron vst mac plugin, free mellotron vst plugin, free plugins for after effects, free plugins for pro tools, free plugins for pro tools 11, free plugins for windows media player, free vst instruments mellotron, free vst mellotron, free vst plugins downloads, free vst plugins downloads vst instruments, free vst plugins for fl studio, free vst plugins for fruity loops, mellotron vst 64 bit free, mellotron vst free download on March 20, 2015 by DemonicSweaters. Free Chiptune VST | Fantastic SID inspired free plugin for Windows! I’ve tried several different 8 bit / chiptune / SID style plugins and I have to say that Dream64 by OdoSynths is one of the nicest ones I’ve tried. 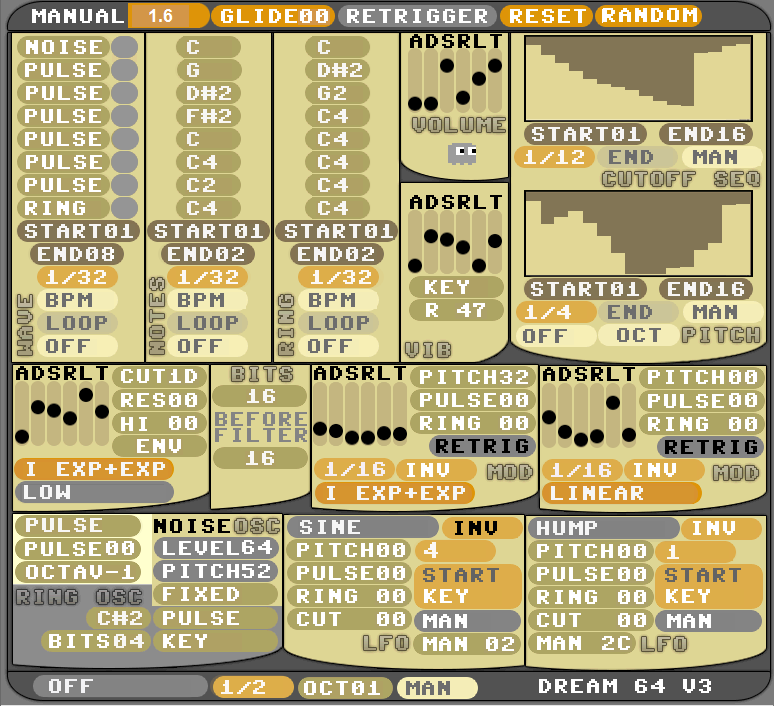 Dream64 is a wavetable synthesizer with a built in step sequencer and LFOs. The sound of it is quite great. Very much like old SID sounds. I tested it out on Ableton Live and EnergyXT and it works great on both. My only gripe with it is the GUI interface is a bit too large in my opinion since the bottom of the plugin doesn’t fit on 1366×768 my screen. Still not much of a problem since I can access most of the controls. It comes loaded with a ton of great presets. Many great drum sounds, fat basses, and very cool sounding lead patches. Definitely an essential plugin to have. This entry was posted in Plugins, Uncategorized and tagged 8 bit music, 8 bit music bands, 8 bit music converter, 8 bit music converter online, 8 bit music download, 8 bit music free, 8 bit music generator, 8 bit music maker, 8 bit music maker android, 8 bit music maker apk, 8 bit music maker free download, 8 bit music online, 8 bit music software, 8-bit music creator, 8-bit music making program, best commodore 64 vst, chiptune free vst, chiptune producers, chiptune production tips, chiptune production tips for work, chiptune production tips from creative pros, chiptune production tips from producers, chiptune production tips from skrillex, chiptune vst free download, commodore 64 vs atari 800xl, commodore 64 vs ti-99/4a, commodore 64 vst, commodore 64 vst download, commodore 64 vst free, commodore 64 vst free download, commodore 64 vst plugin, commodore 64 vst synth, dream 64, dream 64 commodore 64 emulator, dream 64 download free, dream 64 emulator, dream 64 v2, dream 64 v2 download, dream 64 v3 download, dream 64 v4, dream 64 vst, dream 6492, dream 64bit, dream64, dream64 vsti, dvbdream 64, free chiptune vst, free virtual commodore 64 vst, free virtual commodore 64 vst download, free vst instruments, free vst plugins downloads vst instruments, free vst plugins for fl studio, free vst plugins for fruity loops, odo dream64, top chiptune producers on March 18, 2015 by DemonicSweaters.